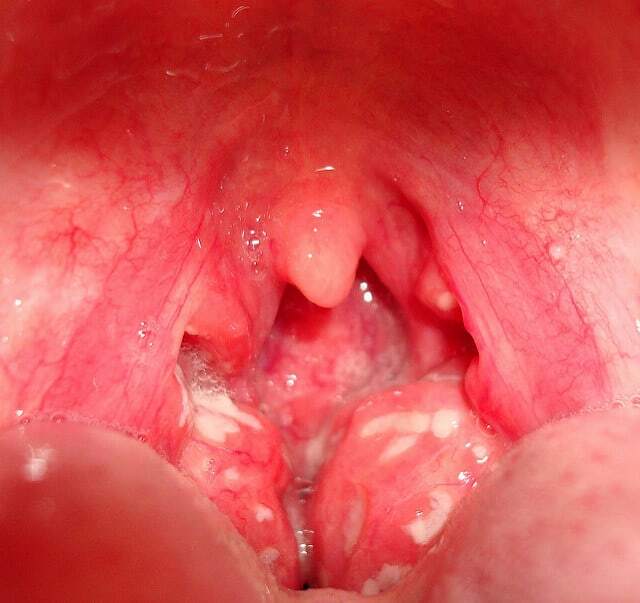 Tonsillitis is an acute inflammation of the tonsils, usually secondary to an infect. It is a common cause of sore throat, and a common reason for presentation to General Practice, and the Emergency Department. Most cases are mild and self limiting, and will last less than 7 days. More severe cases can result in inability to swallow and subsequent dehydration, and can require IV antibiotics, steroids and fluids. Bacterial tonsillitis is most commonly cause by Group A streptococcus (aka “Strep Throat”). This is carried in normal healthy throats in the general population. Rates of carriage decline with age, from about 10% of under 14’s to <1% of over 45s. Antibiotics are recommended only for those scoring 4, or sometimes 3. Investigations aren’t usually necessary. You can to throat swabs for Group A beta-haemolytic streptococcus but this is an unpleasant procedure, results take several days, and often an individual can be a carrier without this being the cause of their tonsillitis. It is also unlikely to alter management, especially if you are using the censor criteria, as above. Some advocate the use of rapid antigen testing from a throat swab, as this only takes a few minutes, but the evidence shows that it does not alter prescribing patterns, and so is probably not useful. Avoid amoxicillin – as this causes a rash if the patient has glandular fever. Erythromycin is a suitable alternative if the patient is penicillin allergic. Common cold – the common cold will cause similar features and in general practice a lot of patient may request or expect antibiotics. Use the Centor Criteria to decide and to justify your decision. ​Glandular fever – Epstein Barr Virus – aka infectious mononucleosis – typically presents in adolescents or young adults, but children can get it too. Rare in adults. Often accompanied by general malaise and tiredness. Can take several week to resolve, particularly the lethargy and treatment is only supportive. Rarely, glandular fever can cause a ruptured spleen, or jaundice. Jaundice is usually mild and self-limiting, but the ruptured spleen can be life threatening. The spleen may become enlarged but is highly unlikely to rupture. You may want to ask patients to avoid contact sports or anything that puts them at risk of traumatic splenic injury. In case of recurrent tonsillitis, tonsillectomy can be considered. Tonsillectomy is less common than in past decades, but still routinely performed by ENT surgeons. The tonsils are important lymph nodes that help to fight infection of the upper respiratory tract, and are not ‘useless’ but in most people, can be safely removed. Surgery is only used in recurrent cases of infection. The goal of surgery is to reduce the frequency of these infections. Tonsillitis is known to be the cause of the sore throats!